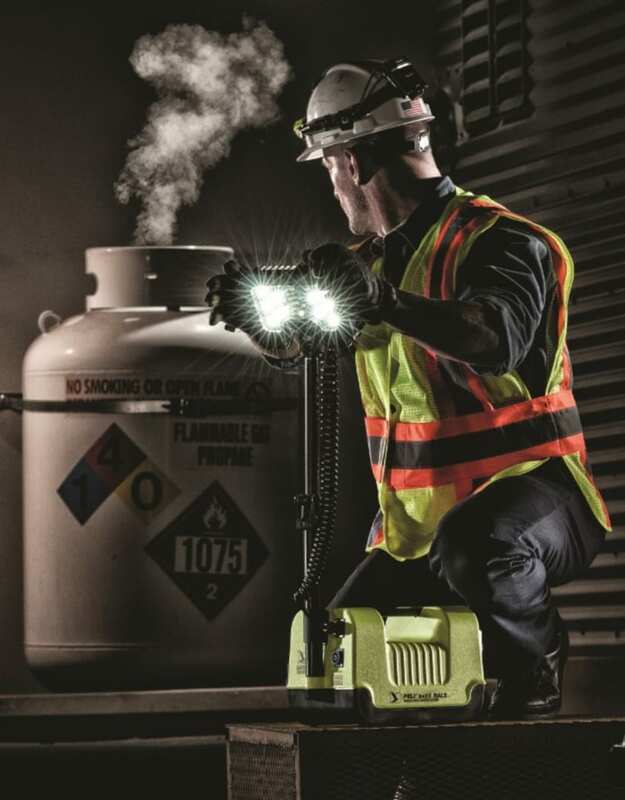 In its continuous commitment with innovation to enhance the safety of professionals working in high-risk environments, Peli™ - the global leader for over 40 years in the design and manufacture of advanced portable lighting tools- presents at A+A Show (Hall 6/Stand 6H09) two state-of-the-art safety lamps: Peli 9455Z0, the World’s first Remote Area Lighting System (RALS) that holds three global safety certifications, and the Peli 3315RZ0-RA torch with more than 300% of life expectancy. With their safety certifications and their revolutionary features, both lights are the best tools for the Oil & Gas Industries. With the new 9455Z0 RALS the company exceeds the market expectations once again, succeeding in the creation of the safest product in its category thanks to its three global safety certifications: The European ATEX Zone 0 (Cat. 1), IECEx ia and North American CI, D1. These safety certifications make it the perfect choice for working in Oil & Gas refineries, Offshore platforms, Petrochemical, among other high-risk industries. Built with versatility in mind, the 9455Z0 is a compact 7,3 kg portable area lighting system, adaptable to hand carry and easy to set up. Its powerful LEDs radiate 1.600 lumens in high and 800 in low which extends the run time up to 10 hours. 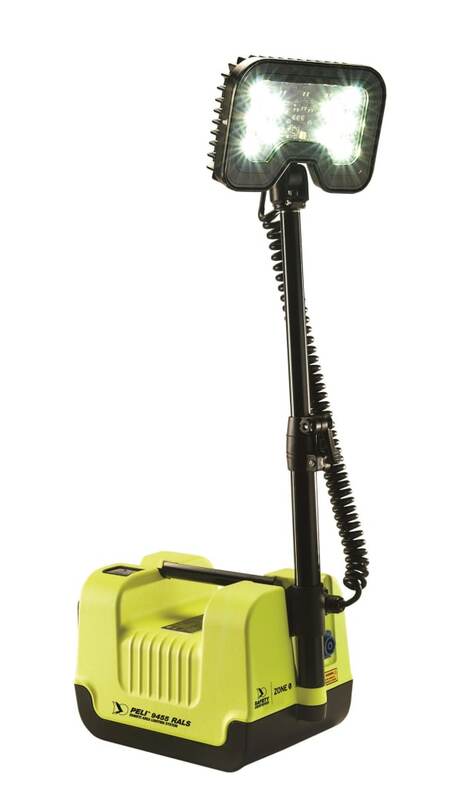 Powered by a maintenance-free rechargeable battery, the system offers a wide beam spread of 125º of clean energy that illuminates the entire area preventing workplace injuries. It features a telescoping mast that extends to 80 cm, a 360º articulating light array and a wide handle for easy gloved grip and transport. With an extremely durable, water-resistant (IP54) polymer construction, the 9455Z0 RALS is available in safety yellow colour. Moreover, these new LED lights are powered by a revolutionary lithium ion rechargeable battery that provides a life expectancy of over 2,000 cycles, 4 times more than the 500 cycles that batteries usually last. 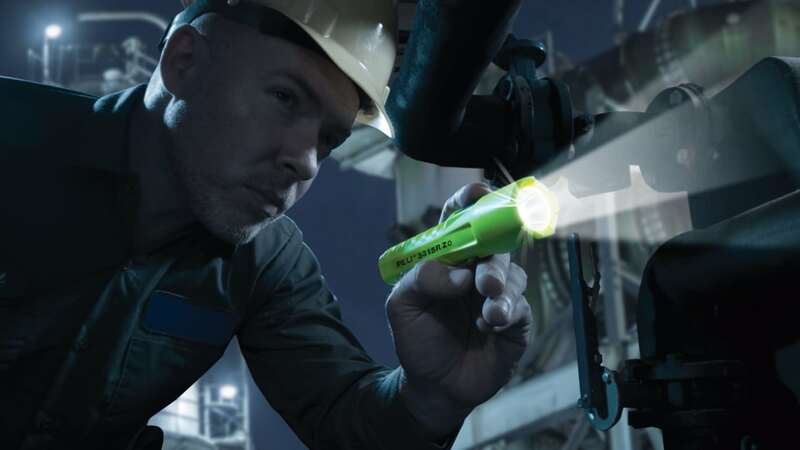 Lightweight and with a small compact design, the torches offer three lighting modes (high/low/flashing), providing up to 132 lumens of clear brilliant light and up to 34 hours of run time. Additionally, they feature a full-time battery level indicator conveniently integrated into the switch. Their ergonomic polymer bodies are engineered with a sure-grip texture and include a lanyard for security. 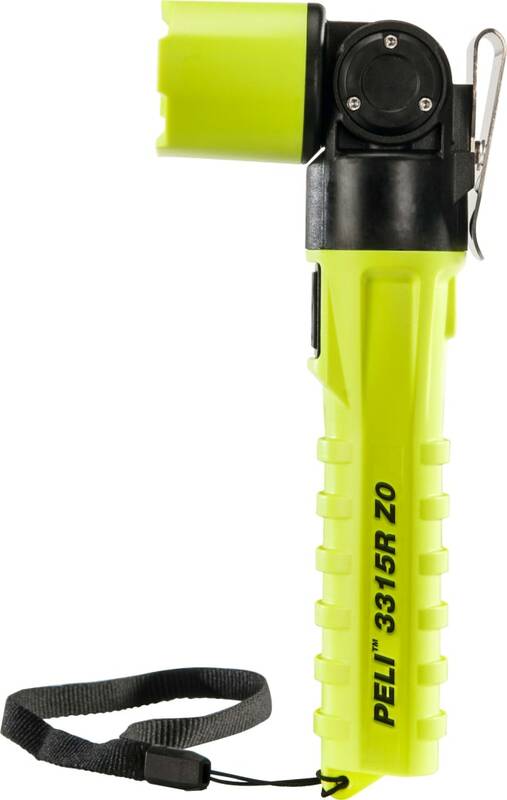 The 3315RZ0-RA (Right Angle) LED torch is equipped with an articulating head that includes an integrated stainless steel clip that allows for hands free applications. 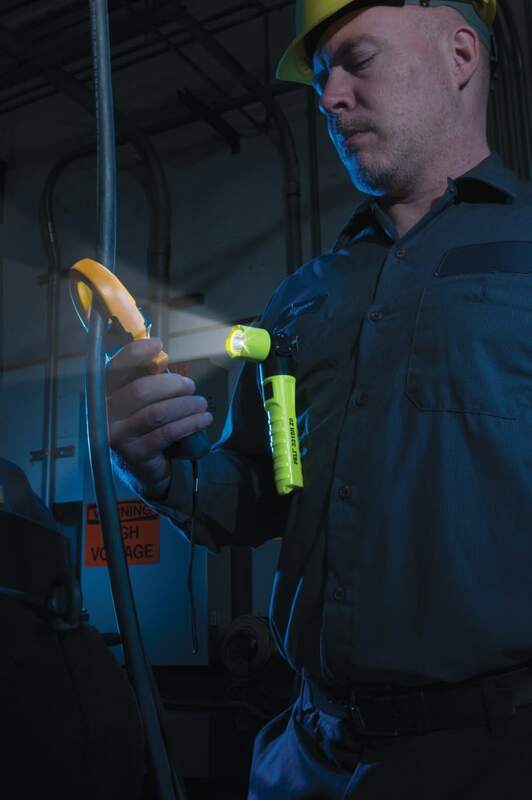 These torches offer Peli’s Lifetime Guarantee (where applicable by law).